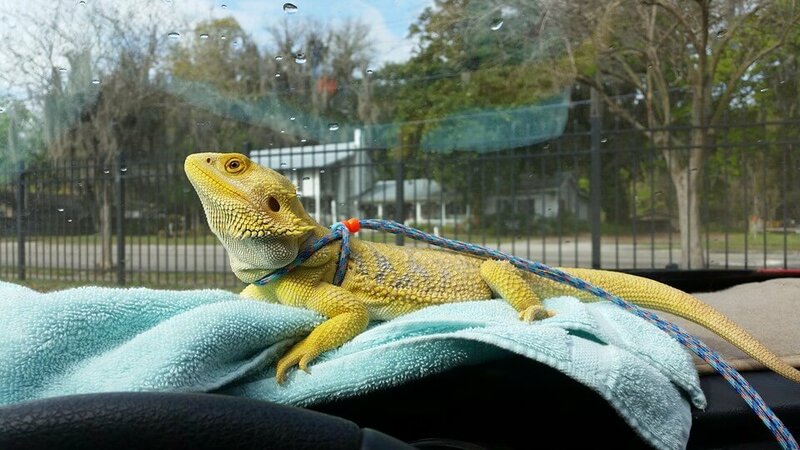 I wanted to make sure to get a good leash, because I did not want to hurt my dragons when I test it. So I had a look at the Amazon customer reviews and found a very good one. I took this leash, because a lot of people tested it before me and wrote a customer review on Amazon for it. Further it had a very high rating of 4.1 stars out of 5 stars. Further I think that not even close to $10 bucks is a very good deal here. This is one of the cheapest leashes I have found. So in this article I want to talk about an awesome addition for your bearded dragon habitat: The bearded dragon hammock. Man that thing is absolutely awesome. 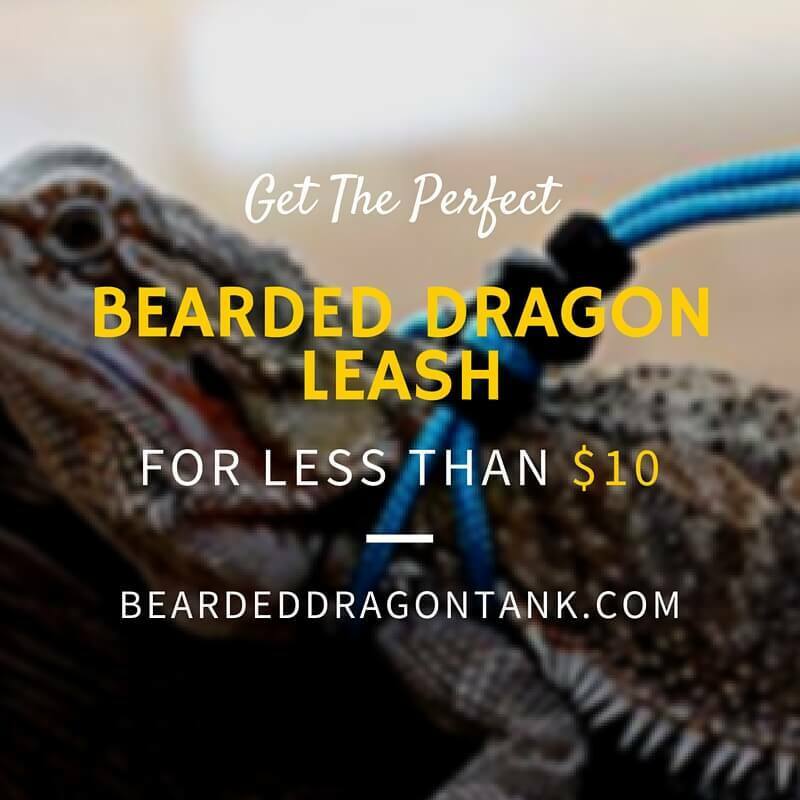 Bearded dragons are one of the most popular reptiles you can have as pets. I mean it is not really a surprise, they look like small dragons, most of them are absolutely calm (some people want to call it “tame”) and they are also great reptiles for beginners. However buying a bearded dragon isn´t hard, for beginners, buying the right tank can be hard, getting the right lighting can be hard, getting the right substrate can be hard. If you got all that, all you have to do is creating a great habitat for your bearded dragons. In my opinion, the hammock is a must have for a great habitat. I want to show you which hammock I use. I mean I can´t really recommend any other hammock, since I didn´t test the others yet. The only hammock I used so far was the one below. It is a soft nylon mesh, my bearded dragons never hurt themselves when they climbed on it, I think that is a very important point. Further the material is very robust, you won´t see any loose strings which your beardie might eat or get stuck in it or something like that. Before I buy a product for my bearded dragons, I make sure I get to know what other bearded dragon owners say. Sometimes I just talk to a friend who also got dragons, sometimes I have a look at forums, sometimes I just look at the Amazon customer reviews. This product has 335 customer reviews on Amazon so far and it has a high rating of 4.1 stars out of 5 stars. Further it is the Amazon Bestseller in this category. A lot of people have problems with the suction cups, since they worry that the hammock is not secure for their beardies, because the suction cups get loose easily. I totally understand that, but to be honest, I never had problems with it. In the first time I placed a soft towel below the hammock, because I was worried too, but the suction cups didn´t fell off so I removed the towel. You have to make sure that you read the instruction completely. It says that you should soak the suction cups in hot water for 5 minutes before using them. With this method I never really had problems. If yours fell off, just do this. If you want, you can also remove the suction cups and replace them with small command hooks made of plastic. Should only cost a few cents. However in my opinion there is no need for that. Well, of course every good product has some additional products the manufacturer wants you to buy too. The ladder isn´t bad or anything, but I just think you do not need it. If you want to help your bearded dragon to get on the hammock, you can also just place a stone or a big piece of wood near the hammock. I own bearded dragons for a very long time now. At the beginning setting up the right habitat was very hard for me, but I read many books, I talked to a lot of people, made a lot of mistakes and now setting up a cool habitat is pretty easy. However I like to change things when it comes to my dragon habitat. I like to add new stuff to the habitat to keep my dragons busy. I want to let them explore new things. My dragons are pretty calm and relaxed, so they are absolutely fine with that. Further I can see how attentive they get when I add new things to their cage or change some things. When I added the hammock to my terrarium, my dragons were very attentive, however they did not get close to the hammock for the first three weeks. I was a little bit disappointed, but I knew that this was a normal behavior. After three weeks one of my beardies finally climbed on the hammock. At first it looked a little bit unsure, but then it just lied on the hammock with its feed hanging down. Haha I think that looks absolutely cool! Now I even got a bigger hammock so that my beardies can lie on it together. Please note that it can take even longer that your beardies climb on the hammock, some people say their bearded dragon needed 3 months to get used to it. Just place it in your tank and be patient. This is another point why I absolutely love the hammock. I have seen a lot of bearded dragons that stand still the whole day, not moving, just looking. Well, my bearded dragons are the opposite here, they are very active. I think that might be a big surprise for all the bearded dragon owners who own a little bit more quiet and lazy dragon, haha. To see this, you only need to make sure that your dragon already explored the hammock and loves it. Further it doesn´t take much space in your tank, since you do not have to place it on the ground. Below the hammock is still space for your beardies to run around. So in my opinion the hammock is absolutely awesome. Let your beardie work a little bit and hang it higher, but please not so high that your dragon could get hurt when it falls. Interested in adding this awesome hammock to your bearded dragon habitat? 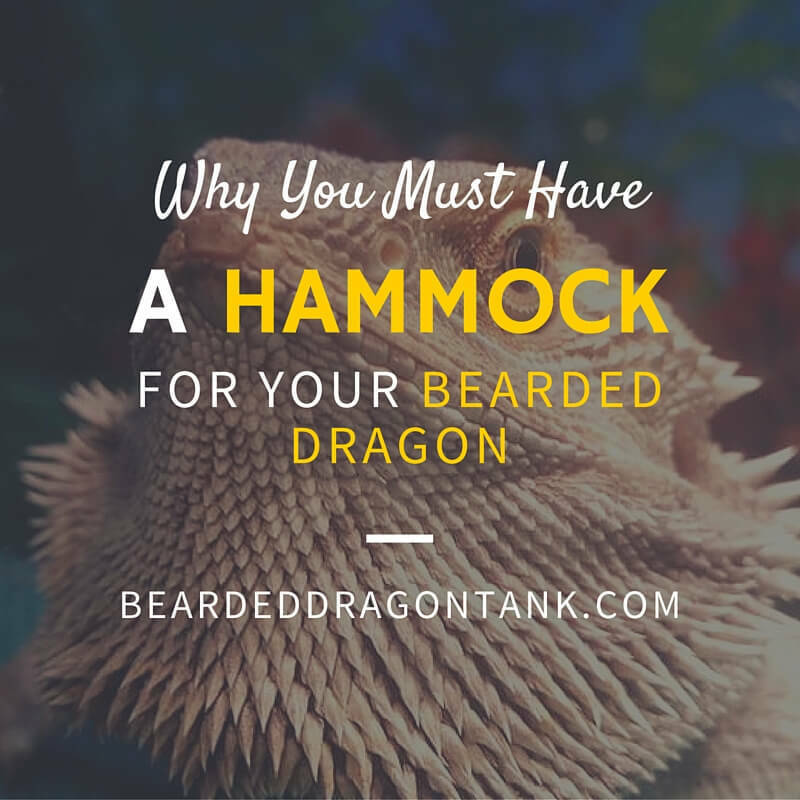 So I hope that my little article on my experience with the bearded dragon hammock was helpful to you. Do you already have the hammock? What do you think about it? Do you have problems with it? Have you ever seen your beardie jump on the hammock? Let´s talk about it in the comment section below, just leave your message and I will get back to you as soon as I can. So when I set up my first bearded dragon tank, I had a lot of problems. I needed to fix a lot of things. After I did that, I thought to myself that everything was fine now. However I noticed that my cage looked somehow empty, even with the basking spot, the food bowls and everything. Yepp, I needed a cool bearded dragon background for my cage. I thought it would be pretty easy to find one, but in fact it was pretty hard. Most of the really good looking backgrounds were pretty expensive and I couldn´t afford to spend another $70 just on a background. On the other hand I did not want to stick a very cheap looking, one-coloured foil on my new terrarium. So I had to do a little bit research. Fortunately, you do not have to do the research, since I already did it for you. 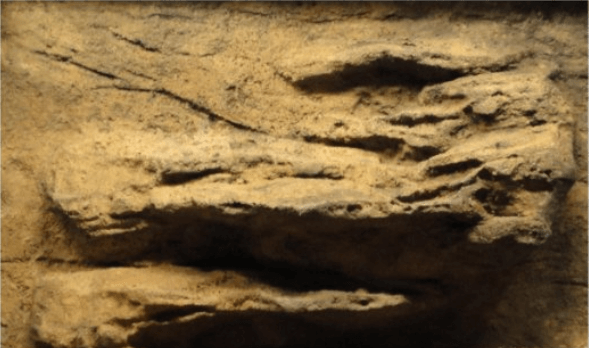 In this article, I show you what my favourite background for a bearded dragon tank is and I show you what you can do to avoid very high costs if you want to get a good looking background! Hope you enjoy! So what is the first thing you do if you want to buy a background for your terrarium as soon as possible? Right, you run like the devil to the next pet shop and get one. Well, this is probably the biggest mistake you can make. In our time, we fortunately have the internet which is a big help here. Why do I say that? In the past I also ran to the pet shop and bought everything the salesperson told me, just because I thought: She/He is a salesperson in a pet shop, she/he must be right. You know what happened? The first time my new good looking background, which was absolutely recommended by the salesperson, dissolved when it got in contact with water. So if you want to get a good background, or whatever you want to get, be patient and do your research. Of course there are also very good pet shops, with salesperson who do a great job, unfortunately, however, it is the minority. Do not use glue without doing your research! Happened to a lot of people who owned reptiles for the first time. They got a background and used glue to fix it. After a couple of days their reptile was dead, because it inhaled the toxic gas from the glue. I recommend to use double faced adhesive tape to fix backgrounds. You should make sure that they can´t get wet. Of course this is only for backgrounds which are placed in the cage. So the first one is definitely one of the more expensive backgrounds for terrariums. If you can afford it, I highly recommend it. The background looks so real and you can create an awesome and natural looking bearded dragon habitat with it. Not only that this background looks best in my opinion, my bearded dragons also love to use the protruding “rocks” as a basking spot. 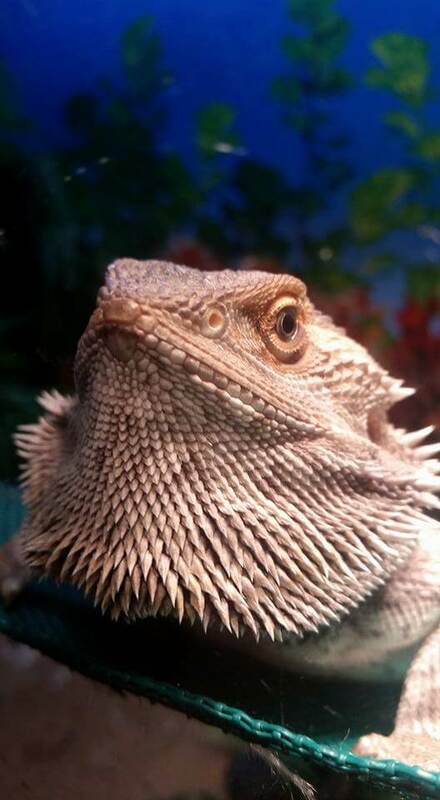 Especially young bearded dragons are very active and love to explore everything. Therefore this background is absolutely great, my babies climbed the rocks up and down. So even if this background is very big and protrudes into the tank a bit, you are giving your beardies more room to move. The material is not flexible and it is very easy to clean. Just clean it with water and wait for it to dry. It normally dries within a day, but of course you can also put it in your tank when it is still a little bit wet. If you want to buy this background, make sure to pick up some double sided tape before. The background unfortunately only comes with two small velcro strips and that is not enough to fix it in my opinion. For whom is this terrarium background? 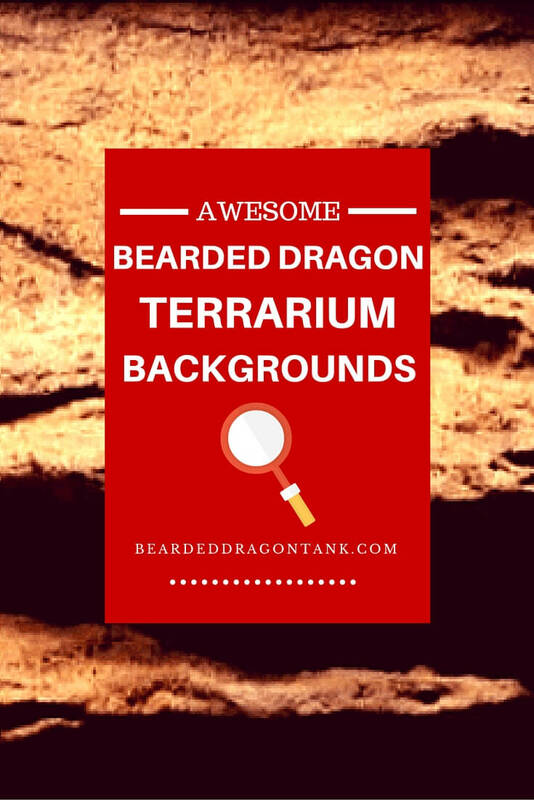 I recommend this background to every beardie owner who has a big tank and wants to create a very natural looking dragon habitat without cutting or trying to fit it in the terrarium. Make sure that you get the right size for your tank! Get The Background In The Right Size Here! The next background is definitely cheaper then the first background, but it also looks extremely good in a well designed terrarium as you can see in the picture below. This terrarium is made of non-toxic polysterine of course. I used this background not only for my bearded dragons habitats, I also used it for the terrarium of my chameleon. In a well designed terrarium, this background looks awesome and besides that, it is definitely more affordable than the first one. You can also cut this background and adjust it to your tank if that is needed. Other than the Universal Rocks Background, your dragons are not able to climb this background up and down. 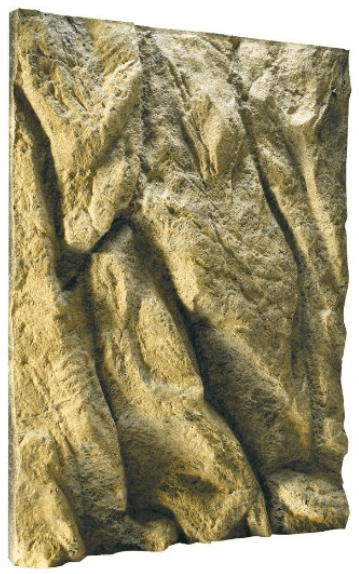 For bearded dragons this background is ideal, but I would not use it for terrariums of bigger and stronger reptiles. The background is very foamy and it can be damaged by the claws of strong and big reptiles. For whom is this reptile terrarium background? I recommed this background to people who want a good looking background in their tank, but do not want to spent too much money on it. Of course you can buy this background in many different sizes, so make sure you get the right size for your terrarium. Get The Exo Terra Background In The Right Size! I used the background below very often and my bearded dragon breeder uses the background below for all of his baby dragon tanks. As I already said, my beardie breeder uses this background for all of his tanks and in my opinion it looks very good. I also used this background before I replaced it with the Universal Rocks Ledge Background. Some people are concerned that this background could grow mold in the tank. I can only say that I never had this problem in my tanks, the background holds up against moisture. A good friend of mine who owns chinese water dragons also uses this tank and he neither has this problem. So this is more a myth than a fact. Further this product has a rating of 4.3 Stars out of 5 Stars on Amazon and it definitely would not get such a high rating if it would cause problems. Please note that sometimes the cork tiles are a little bit smaller than in the description. For this I recommend to purchase it bigger than you actually need it and cut it to make it fit in your tank. I recommend to use aquatic silicone to paste the tile to the glass. The tile can be bend when you get it and that makes it extremely hard to attach this background with normal double sided tape. For whom is this background? You can use this background in every terrarium. No matter what size you dragon tank is, this product will fit perfectly and it does not take much space, since the material is very thin. Personally I like to use it in my baby tanks, since this background is pretty cheap and doesn´t take much space. The price is definitely affordable, especially for smaller tanks. Make sure that you get the right size for your tank. 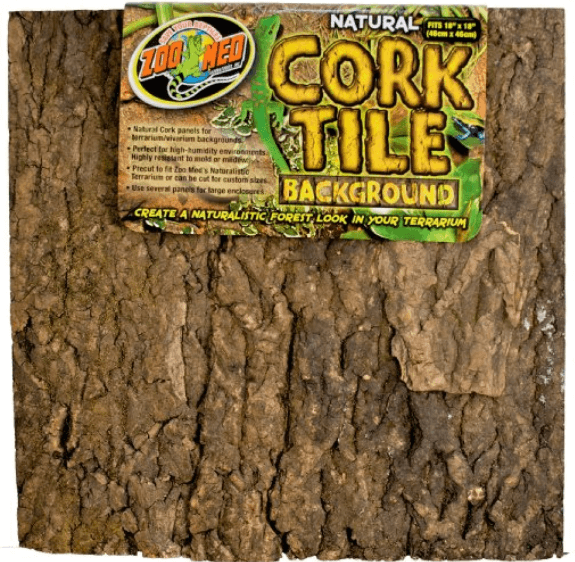 Get The Cork Tile Background In The Right Size Here! So in my opinion these are the best looking dragon backgrounds you can find. If you want to add an awesome bearded dragon background to your tank, I am sure you found something in this article. I am interested, what kind of background do you use? Are you satisfied? Did you ever use any of the backgrounds I recommend here? What is your opinion? Tell me about it in the comment section below, I will get back to you as soon as I can. If you have any questions, simply leave your question in the comments, I usually get back to my readers quickly! Author beardeddragontankPosted on April 5, 2016 Leave a comment on Get The Coolest Bearded Dragon Background Ever!